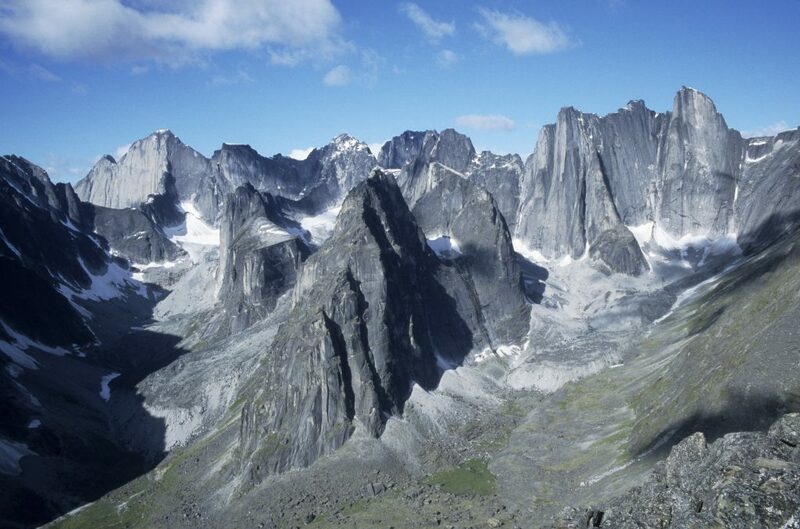 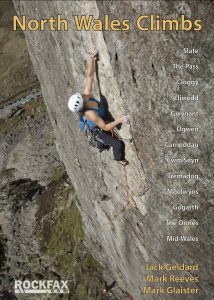 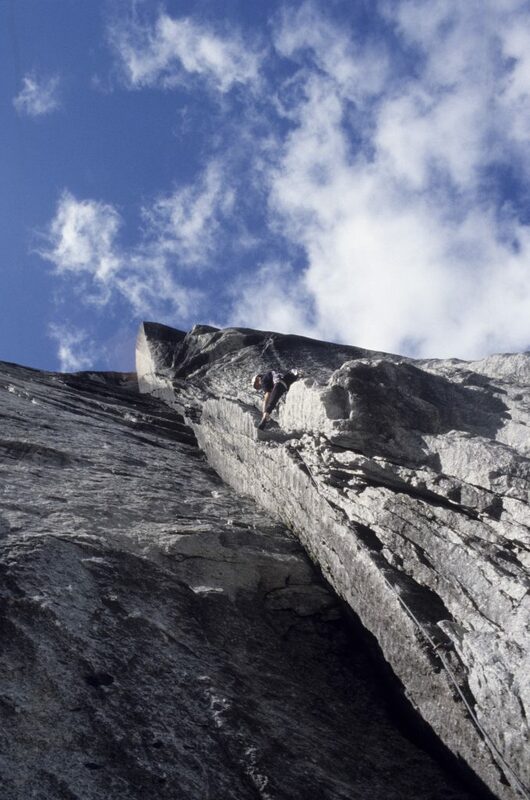 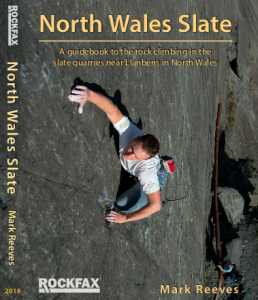 Over the years Snowdonia Mountain Guides owner Mark Reeves has climbed a few Big Walls in both the USA and Canada. During those trips he learnt the hard way what additional skills that you need to scale the biggest cliff faces the world. 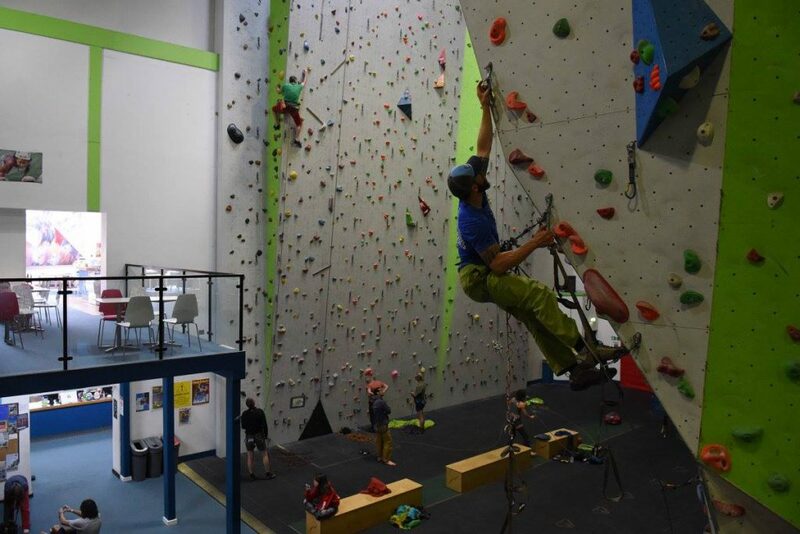 What this course offers is a How to Big Wall Climb in a weekend. 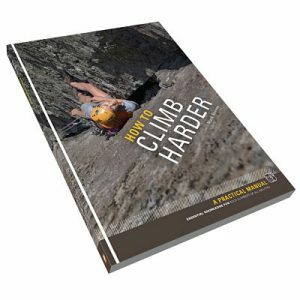 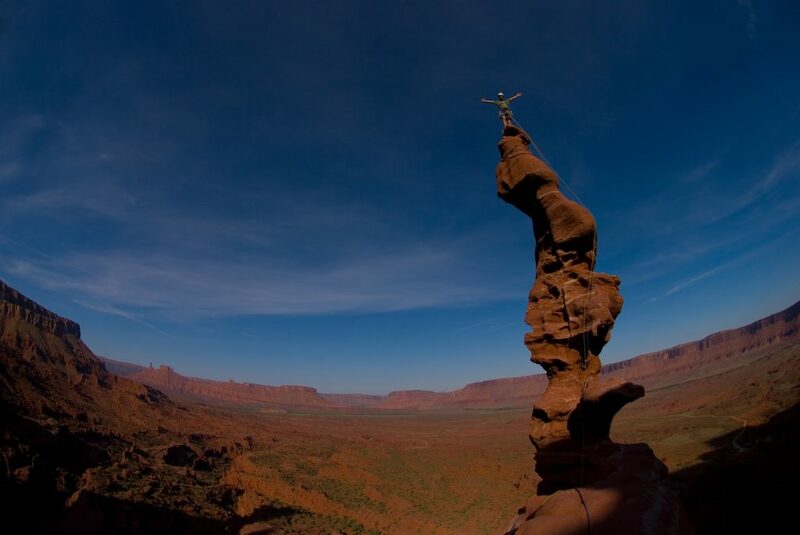 The philosophy we have is to take your existing skills as a rock climber and build on them until you have all the necessary skills you will need to climb a big wall. 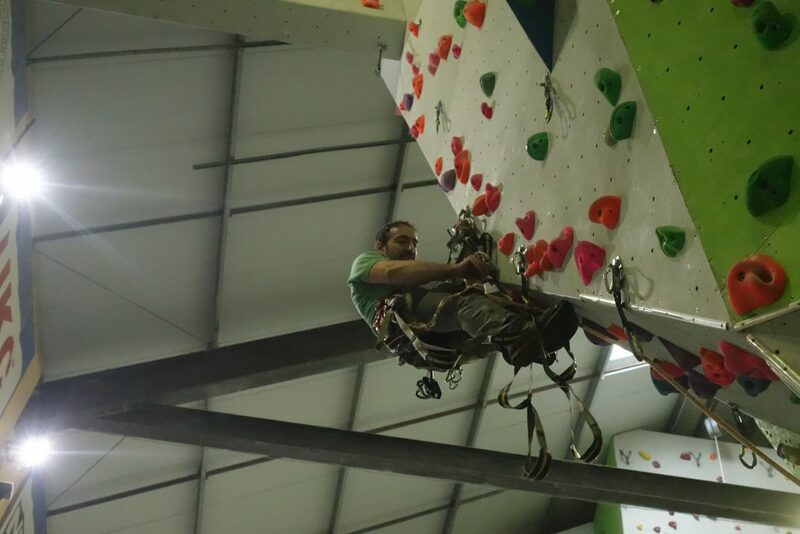 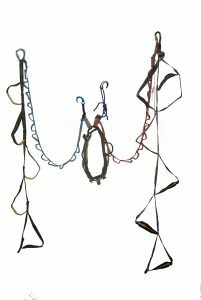 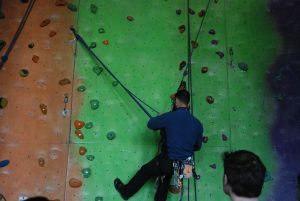 What this course generally entails is one day in a climbing wall, which may seem very odd, but our experience is that an indoor wall allows us to change the tasks and skills very quickly, allowing us to cover more of the skills you need. 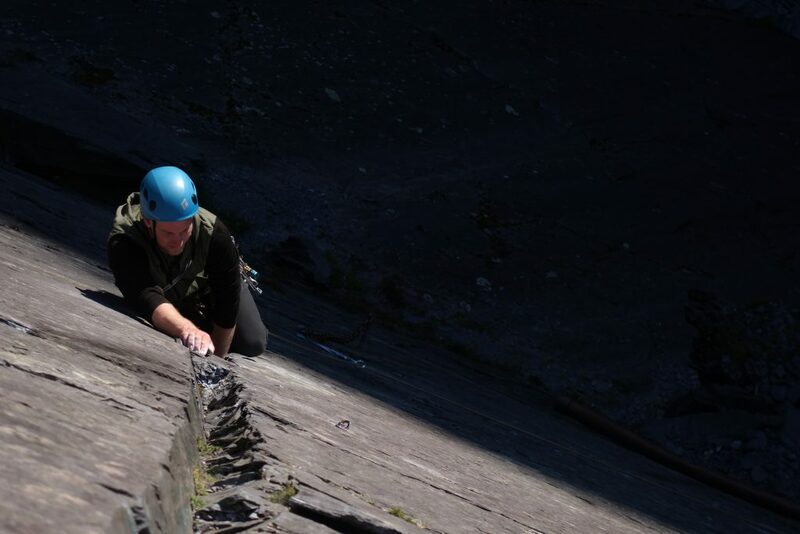 On the second day we head outdoors and let you put the skills we have taught you on day one into practice on real rock. 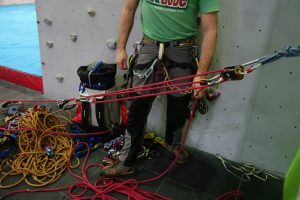 This course covers the core additional skills you need to know how to do to climb a big wall, including. A key skill in big wall climbing is lowering out whilst jumaring a pitch to clean it. 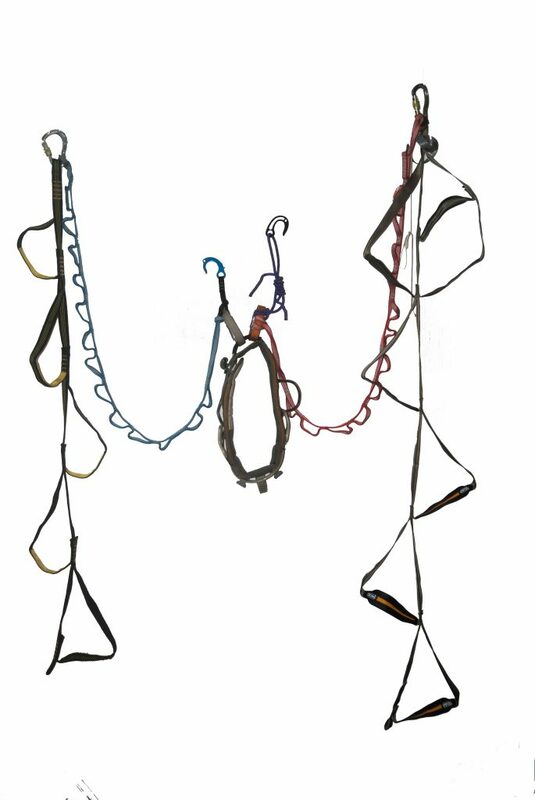 This could be to get round horizontal traverse or roof. Steve Sinfield climbing the initial damp grooves pitches on the amazing 17 pitch remote wall the Lotus Flower Tower in the Cirque of the Unclimbables. 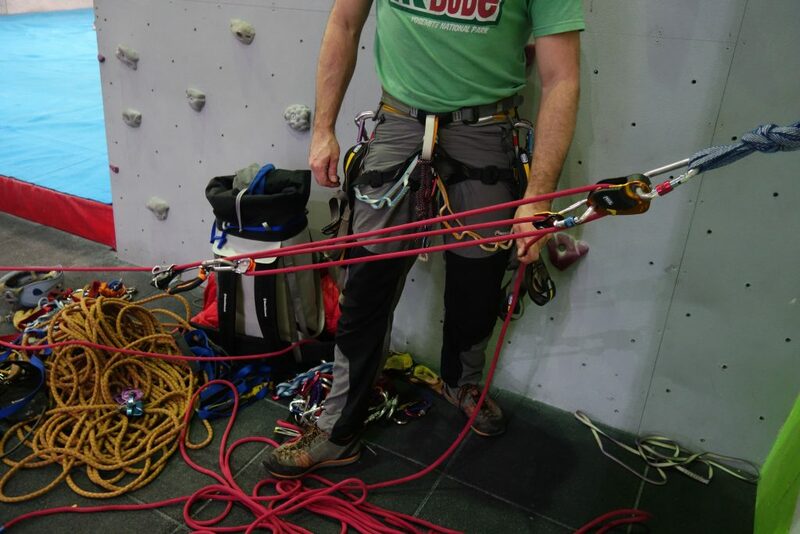 In order to fix a rope to allow a speedy blast off.